In any web or mobile application, there are certain functions that are widely used such as push notifications, social sharing, etc. Each of these functions has its own API and needs to be integrated with an application individually from the back-end. This is a time consuming complex process. This is where mBaaS (Mobile Back-end as a Service) or BaaS (Back-end as a Service) makes developers’ life easy, by offering a bridge between the front-end and back-end with a single API. As businesses are focusing on digital transformation and mobile being its crown-jewel, mBaaS is easily the best possible solution to build enterprise mobile solutions across multiple devices to offer customers a better omni-channel experience. Copy the embed code below to use the infographics. 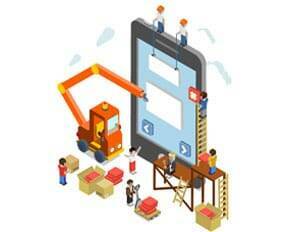 Want to know more about Building Mobile Apps with mBaaS? BaaS Infographics on MBaaS MBaas Mobility Why MBaaS?